(Highlight to View) Prompt: Gnomageddon! Gnomepocalypse! Gnomenado! Gnomes, gnomes, gnomity gnomes! 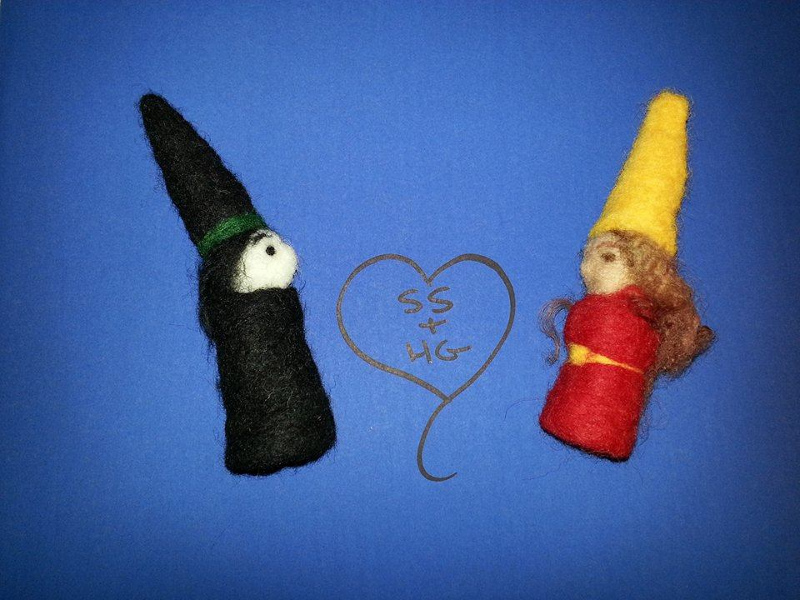 Note: The needle-felted Snape and Hermione took a bit longer than I'd intended, but I think they turned out adorable. They are made from dyed wool roving. 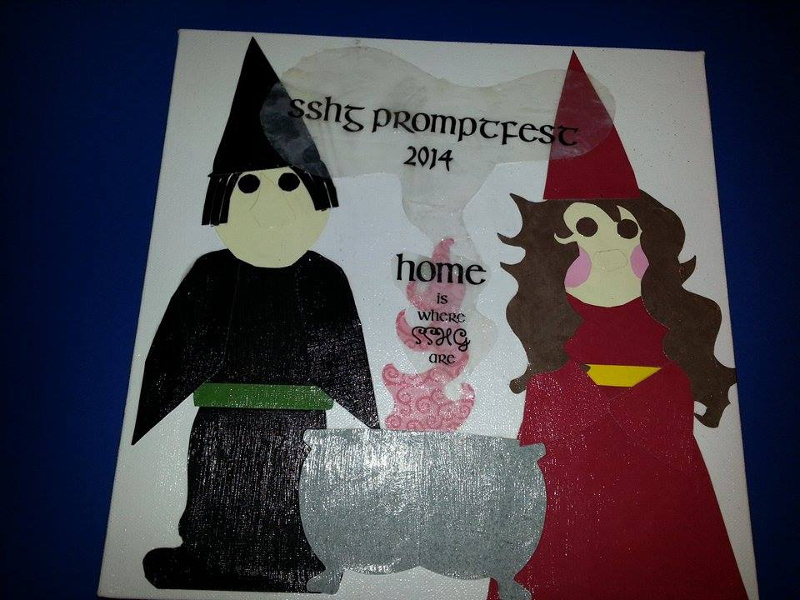 With the time I had left, I decided to make a commemorative SSHG Promptfest canvas for my mystery prompter. It's textured papers, lots of cutting with scissors, and some vellum with ModPodge to stick it all together and apply a sealant coat on it.